246 pages | 9 B/W Illus. This volume traces the historical roots and evolution of insurgencies and counter-insurgencies in modern Asia. Focusing on armed rebellions and use of armed forces by both Western powers and indigenous states from the nineteenth century till present day, the volume unravels the problematic of change–continuity and addresses key questions on the nature of warfare. 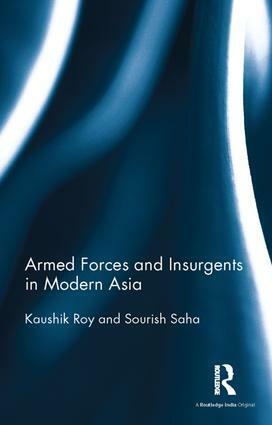 The book looks at eight different regions of Asia: US counter-insurgencies in Philippines; the British initiative in Indonesia and independent Indonesia’s counter-insurgency against its domestic populace; post-World War II Malaya; French and US war in Vietnam; British and Indian counter-insurgencies in North-East India between the nineteenth and early twenty-first century; Indian and Sri Lankan operations in Sri Lanka during late twentieth and early twenty-first centuries; British and US-NATO war in Afghanistan from the nineteenth century till 2014; and British and US counter-insurgency in Iraq during the twentieth and first two decades of the twenty-first centuries. The volume will greatly interest scholars and researchers of modern Asian history, military and strategic studies, politics and international relations as well as government institutions and think-tanks. Kaushik Roy is Guru Nanak Professor, Department of History, Jadavpur University, Kolkata, India and Global Fellow, Peace Research Institute Oslo (PRIO), Norway. Sourish Saha is a bio-statistical consultant for pharmaceutical companies and is based in the US. He has a PhD in Statistics from the University of Florida.